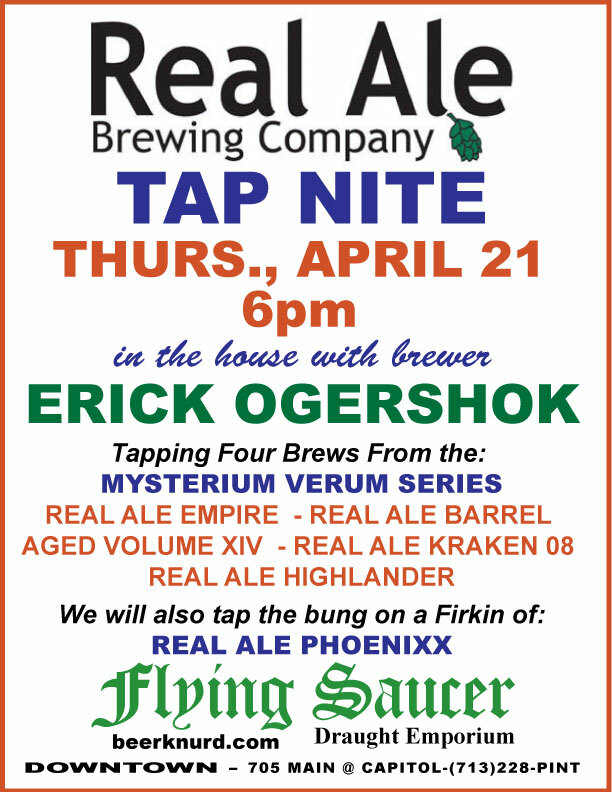 The Tap Nite this Thursday at the Flying Saucer will be featuring a selection of beers from Real Ale, included four beers from their Mysterium Verum series. 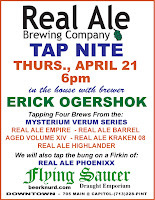 Brewer Erick Ogershok will also be on hand to answer questions and talk about the beer. The beer starts pouring at 6:00pm and a cask of the Phoenixx will also be available.